Welcome to Congregation Beth Israel where Jewish life is relevant, modern, and joyful! We welcome our viewing audience to enjoy our weekly Shabbat services. Services will be streamed every Friday evening at 6:30pm CDT and Saturday morning at 11:00am CDT, as announced. 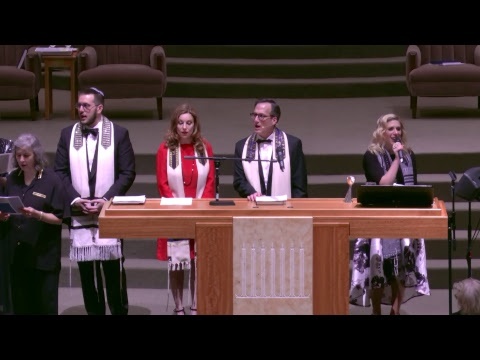 The rabbis and cantor welcome you to Congregation Beth Israel. If you should wish to open a conversation with them, you may do so by writing to streaming@beth-israel.org. If you would like to support live streaming, please donate to The Livestreaming Video Fund. Members can login to donate here. Non-members can donate easily here. Visit the Tribute Donations page to view other funds open to donation. To enhance your live streaming experience, access our Worship Resources page. Watch past live streams and other videos on our YouTube Channel.